For the greatest benefit, hold your most valuable property items in your living trust. valuable collections of stamps, coins, or other objects. You can add property to your living trust at any time. And because you’ll also be the trustee, you can always sell or give away property in the trust, or take it out of the living trust and put it back in your name as an individual. A living trust isn’t the only way to save money on probate. For some assets, you may decide to use other probate-avoidance devices instead. And even if some property does have to go through regular probate, attorney and appraisal fees generally correspond roughly to the value of the probated property, so the cost will be relatively low. You can make a valid living trust online, quickly and easily, with Nolo's Online Living Trust. If you're like most people, the most valuable thing you own is real estate: your house, condominium, or land. Many people create a living trust just to make sure a house doesn't go through probate. You can probably save your family substantial probate costs by transferring your real estate through a living trust. You can put your real estate into your living trust even if owe money on it. A loan on the property -- like a mortgage or deed of trust -- will follow the property into the trust, and it will also follow the property to the beneficiary. (So after you die, the debt will pass to the new owner along with the property.) When transfering real estate into a living trust, you do not need to take any additional steps to accomodate a loan -- there is no requirement to notify the lender. However, letting the lender know about the transfer could reduce the confusion in the future. Don't overlook simpler alternatives. If you already co-own real estate with someone else, you may not need a living trust right now. And in some states, you can prepare a "transfer-on-death” deed now but have it take effect only at your death. Tying up an ongoing small business during probate can be disastrous. Not only does your executor have to run the business for many months, but a court must supervise. Using a living trust to transfer business interests to beneficiaries quickly after your death is almost essential if you want them to take over the business and keep it running. Sole proprietorship. If you (or you and your spouse) operate your business as a sole proprietorship, with all business assets held in your own name, you can simply transfer your business property to your living trust as you would any other property. You should also transfer the business's name itself: that transfers the customer goodwill associated with it. Partnership. If you operate your business with partners, you should be able to easily transfer your partnership share to your living trust. If there is a partnership ownership certificate, it must be changed to include the trust as owner of your share. It's not common, but a partnership agreement may limit or forbid transfers to a living trust. If yours does, you and your partners may want to see a lawyer before you make any changes. Closely held corporation. A closely held corporation is one that is not authorized to sell shares to the public. All its shares are owned by a few people (or just one) who are actively involved in running the business (or are relatives of people who are). Normally, you can use a living trust to transfer shares in a closely held corporation by listing the stock in the trust document and then having the stock certificates reissued in your name as trustee. Check the corporation's bylaws and any shareholders' agreements, in case there are restrictions on your freedom to transfer your shares to a living trust. Also make sure that if you hold the shares in trust, you will still have voting rights in your capacity as trustee of the living trust; usually, this is not a problem. If it is, you and the other shareholders should be able to amend the corporation's bylaws to allow it. One fairly common rule is that surviving shareholders (or the corporation itself) have the right to buy the shares of a deceased shareholder. In that case, you can use a living trust to transfer the shares, but the people who inherit them may have to sell them to the other shareholders. Limited liability company. If your small business is an LLC, you'll need the consent of a majority or all of the other owners (check your operating agreement) before you can transfer your interest to your living trust. Getting the other owners to agree shouldn't be a problem; they'll just want to know that you, as trustee of your own trust, will have authority to vote on LLC decisions. You may also want to modify your trust document to give the trustee (that's you) specific authority to participate in the limited liability company. Another way to address this concern would be to transfer your economic interest in the LLC, but not your right to vote. The transfer itself isn't hard—you can prepare your own form and call it an Assignment of Interest. It's not difficult to hold bank accounts in your living trust. You just need to change the paperwork held by the bank, savings and loan, or credit union. Consider, however, adding a payable-on-death beneficiary to your account instead of using a living trust. At your death, what's left in those accounts will go directly to the beneficiary, without probate. Individual retirement accounts and 401(k)s can't be assigned to a trust; you, as an individual, must own your accounts. You can, however, name a trust as a beneficiary. Some kinds of property are cumbersome to keep in a living trust. It's not a legal problem, just a practical one. Cars or other vehicles you use regularly are a good example. Having registration and insurance in the trustee's name could be confusing, and some lenders and insurance companies are flummoxed by cars that technically are owned by living trusts. If you have valuable antique autos, or a mobile home that is permanently attached to land and considered real estate under your state's law, however, you may want to go ahead and transfer ownership to your living trust. You should be able to find an insurance company that will cooperate. Check out special transfer procedures for vehicles. Depending on where you live, there may be several ways, simpler than a living trust, to avoid probate for vehicles. If you don't expect to own an item of property at your death, there's no compelling reason to transfer it to your living trust. Remember, the probate process you want to avoid doesn't happen until after your death. On the other hand, if you're buying property, it's usually not much more trouble to acquire and own it in the name of the trust. If you own a life insurance policy at your death, the proceeds that the named beneficiary receives do not go through probate. So if probate-avoidance is the primary goal of your trust, you probably won't need to bother with naming your trust as the beneficiary of your life insurance policy. However, if a child is the beneficiary of your policy, you may want to take an additional step to make sure someone will manage the money for the child if necessary. It's not difficult; you just name your living trust as the beneficiary. Then, in the trust document, specify that the proceeds should be managed by an adult if the child is still young when you die. If you don't arrange for management of the money, and the child receives the money while still a minor, a court will have to appoint a financial guardian to handle the money. Although the proceeds from a life insurance policy will go directly to the named beneficiaries without probate, they are considered part of your estate for federal estate tax purposes. 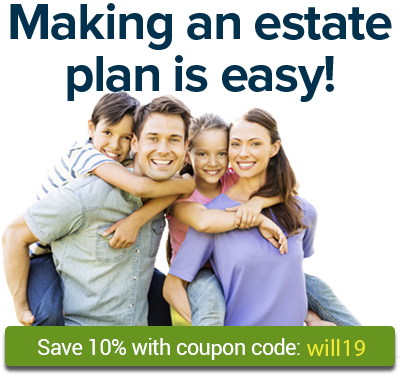 If you're worried about estate taxes -- and most people don't need to worry -- contact an attorney about ways to keep life insurance money out of your taxable estate. It's easy for you to register stocks, bonds, and mutual funds as trustee of your living trust; all brokers and mutual fund companies will help you. It's even easier if you set up accounts to consolidate all your investments at a big investment company such as Charles Schwab, Vanguard, or Fidelity. You can put your whole account into the living trust, and then automatically buy and sell securities in the name of the trustee. Once the account is in the trustee's name, all securities in the account are then held in trust. That means you can use your living trust to leave all the contents of the account to a specific beneficiary. If you want to leave stock to different beneficiaries, you can either establish more than one brokerage account or leave the contents of a single account to more than one beneficiary to own together. Consider transfer-on-death registration instead. Almost all states now allow ownership of securities to be registered in "transfer-on-death" form. In those states, you can designate someone to receive your securities, including mutual funds and brokerage accounts, after your death. No probate will be necessary. There's no way to transfer actual cash to a living trust. You can, however, transfer ownership of a cash account—savings account, money market account, or certificate of deposit, for example—to your living trust. You can then name a beneficiary to receive the contents of the account. So if you want to leave $5,000 to cousin Fred, all you have to do is put the money in a bank account, transfer it to yourself as trustee, and name Fred in the trust document as the beneficiary. If you don't want to set up a separate account to leave a modest amount of cash to a beneficiary, think about buying a savings bond and designating a payable-on-death beneficiary, or leaving one larger account, through your trust, to several beneficiaries.